Save on your next flight from DEL to CRL when you book through Travelocity. Need a last-minute flight to Charleroi? Travelocity offers discount airfare no matter when you book, even on popular routes such as Indira Gandhi Intl. Airport to Brussels South Charleroi Airport. Whether you need a direct or indirect flight, you can trust Travelocity to provide you with the best prices for DEL to CRL flights. Top Flights from Indira Gandhi Intl. Top Flights to Indira Gandhi Intl. Explore Charleroi with Travelocity's Travel Guides to find the best flights, cars, vacation packages and more! Situated near the airport, this hotel is 0.4 mi (0.7 km) from European Flight Simulator and within 6 mi (10 km) of Place Charles II and City Hall of Charleroi. Rive Gauche and Stade Velodrome Gilly are also within 9 mi (15 km). Situated near the airport, this hotel is within 6 mi (10 km) of Stade du Pays de Charleloi, Place du Manège, and Place Charles II. Rive Gauche and Museum of Photography are also within 9 mi (15 km). 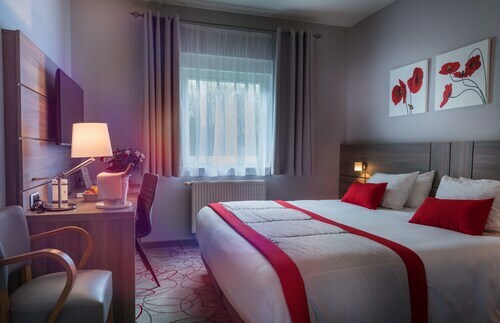 Situated near the airport, this eco-friendly hotel is 1.7 mi (2.7 km) from European Flight Simulator and within 6 mi (10 km) of Stade Velodrome Gilly and City Hall of Charleroi. Rive Gauche and Le Bois du Cazier are also within 9 mi (15 km). Charleroi Courcelles Station is 22 minutes by foot. 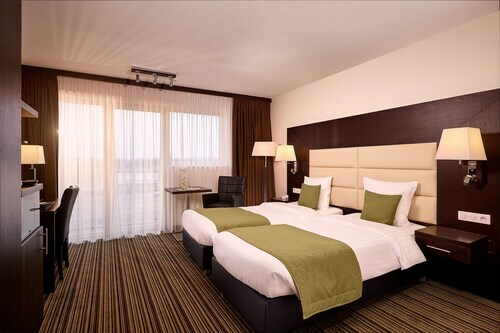 Situated in Charleroi, this hotel is 2 mi (3.2 km) from Stade Velodrome Gilly and within 6 mi (10 km) of City Hall of Charleroi and European Flight Simulator. Rive Gauche and Museum of Photography are also within 9 mi (15 km).